Destiny 2 will keep the 30fps lock its predecessor had, despite the existence of more powerful consoles. Some Destiny fans felt that a full-blown sequel would bring about major technical overhauls, such as the upgrade to 60fps, to consoles. This is sadly not the case with Destiny 2, and the reason has to do with the consoles’ apparent lack of power. 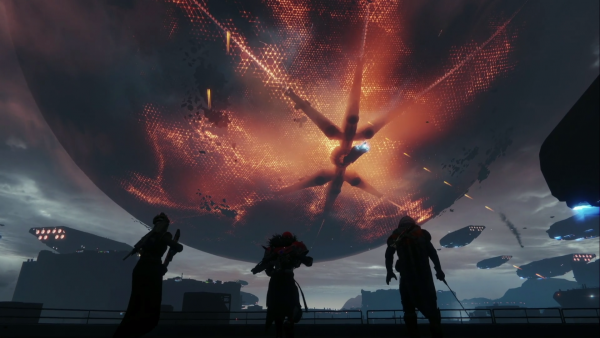 Destiny 2 leads Luke Smith and Mark Noseworthy spoke to IGN after last week’s big unveiling to answer all sorts of questions, and one of which was about Bungie’s decision to once again lock the frame-rate to 30fps. “I mean, I’m going to wade into this, and you [Mark Noseworthy] can flesh it out,” said Smith, as transcribed by Digital Foundry. Noseworthy then reiterated Smith’s statement, saying that the PS4 Pro’s GPU is very powerful, which is why the studio is able to deliver 4K on the console. “It’s on the CPU side,” he added. The pair do not mention Xbox Scorpio at all during this conversation, probably a result of Activision’s exclusivity deal with Sony. With that in mind, things could go either way as far as frame-rate of the Scorpio version, though the smart money is on slightly nicer visuals with the same 30fps lock. Destiny 2 is out September 8 on PS4, and Xbox One. The PC version does not yet have a firm release date.